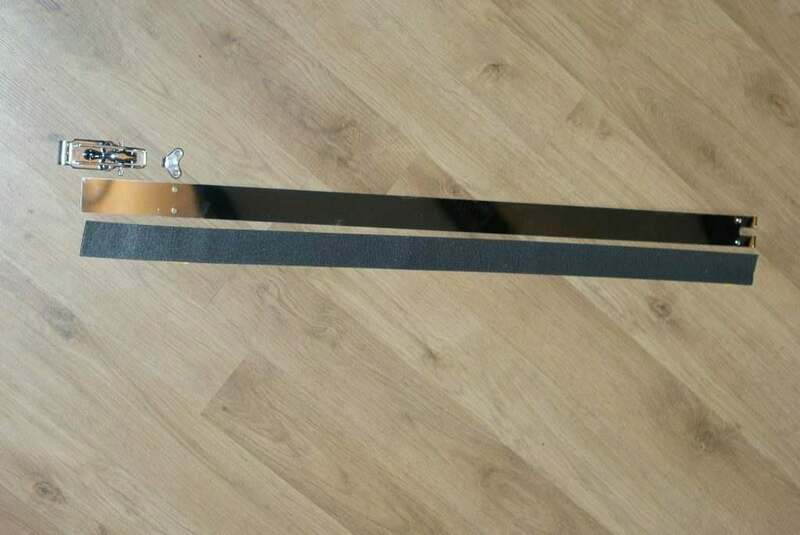 Polished Stainless Steel Tank Strap. Tank straps for the Sprint or Manx tanks. Manufactured in highly polished stainless steel and comes complete with chrome adjustable toggle, hook and backing strap. 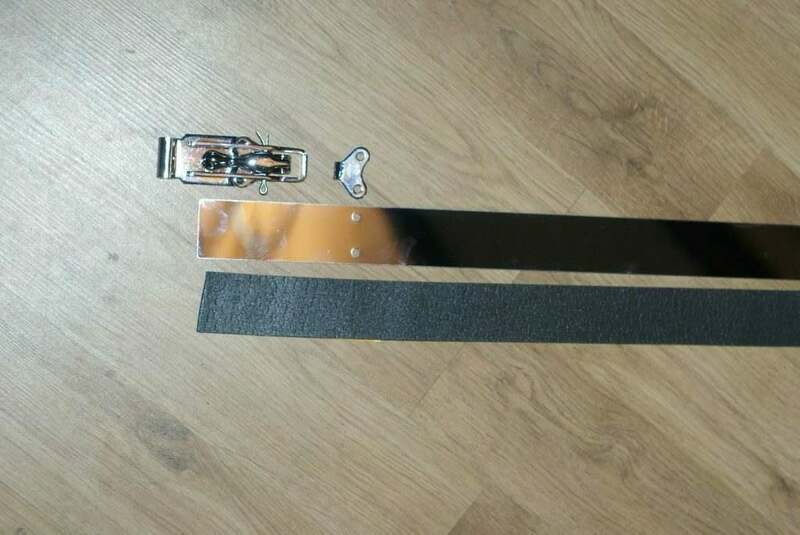 94cm (37 inches) long but can be cut to specific sizes. Hook supplied loose with rivets for you to position yourself once strap is on the bike.